Discussion in 'Member Classifieds' started by superlead, Aug 8, 2013. Marshall 35th anniversary edition, limited run of 250 units worldwide, released in 1997. 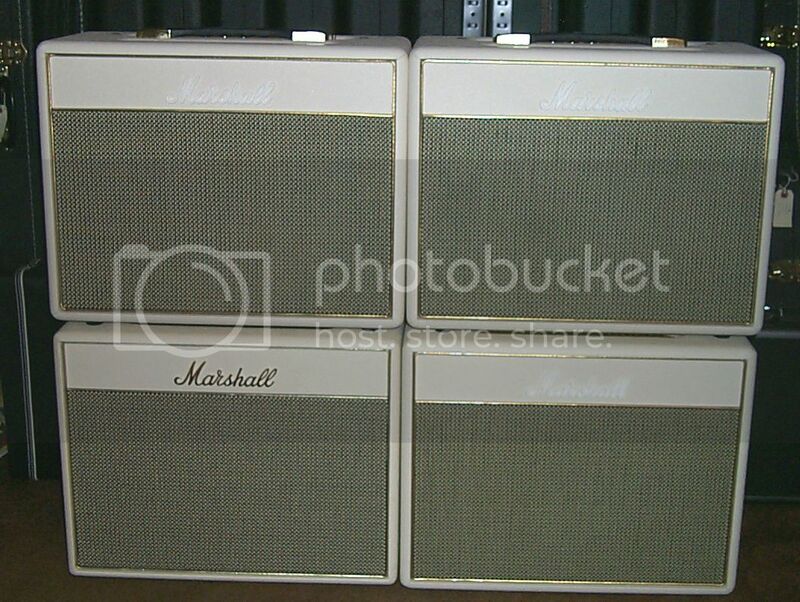 Marshall 1987X WSP hand-wired head and 1960AX cabinet loaded with 4x12" Celestion G12M "Greenbacks" speakers. As a collector's item, you won't see often these two pieces together for selling, some people have the head and some the cabinet, only a few own both things. 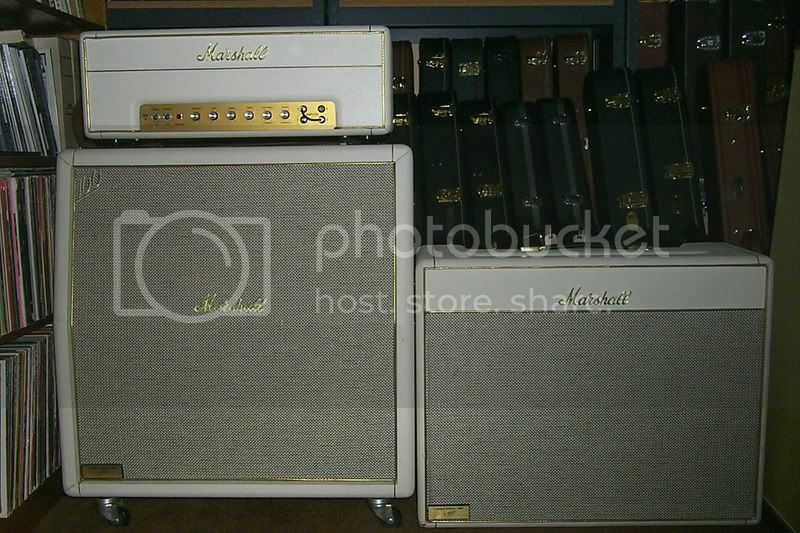 This is the amp appearing the cover of Michael Doyle's acclaimed reference book "The History of Marshall". Both the amp and the cabinet work and sound perfectly and are in good condition, just a few little scratches on the vinyl. The head has been modded but these mods can be undone at the request of the buyer to let the amp in its original condition, if this case some extra days are necessary as I have to take the amp to tech. However I strongly recommend to have the amp modded as it improves it sounds quality. - EQ pot changed to reduce high frecuencies. Cheap international shipping, ask first. Local pickup available. Amp is located in Spain (Alicante). I can sell both things separately. I'm Asking 2500 Euros wich I consider a good price for a collector's item nowadays. Any question you may have don't hesitate to contact me.